Management is the organization and coordination of business activities in order to achieve certain goals and objectives. As a manager, you need to be a forward thinker who can create a plan, organize the resources to make it work, direct the people who will make it happen, and monitor and control its effects. The Management major allows you to integrate all functional areas of business by choosing electives of your choice from accounting, marketing, operations management, human resource management, and finance. This allows you to have a well-rounded and integrated understanding of business and an ability to deal with all aspects of an organization. This wide breadth of knowledge gives you an ideal understanding of the strategy needed to achieve overall organizational goals and objectives. All first year commerce students will take a common set of classes before entering a specialization, such as management, in their second year. The Saskatchewan and Canadian business landscape is changing. Aboriginal Entrepreneurs and Businesses are making bigger impacts in the business community and this trend will continue. This course is intended to provide knowledge about the unique environment in which aboriginal owned businesses operate. This unique environment creates some interesting opportunities and even more unexpected challenges. The impact of treaties, the Indian Act, Land Claim Settlements and other issues are all discussed in the context of their impact on economic development for aboriginal peoples. This course also examines the best practices related to the legal structures, governance models and management systems of aboriginal businesses by studying successful aboriginal businesses and communities. These case studies focus on Western Canada and specifically Saskatchewan. Introduction to the global setting in which international business decisions are made. In addition to the basic economic factors, socio-cultural, legal and political considerations are examined. Emphasis is placed on the factors which are relevant to decision making in a wide range of international business functions (i.e. marketing, finance) and international business forms (i.e. export-import, foreign manufacturing, joint ventures). This course is designed to lead students through the management consulting process, including developing and presenting a consulting proposal and then completing the consulting project. Students will learn how to specify business research questions, propose appropriate methods of researching the questions, and analyze the results of the research, and present conclusions and recommendations. Real external business clients are expected for each consulting group (may be one or more students in a group, depending on the size of the consulting project). The most common types of business research requested by clients have been marketing research studies, business plans, feasibility studies, and industry opportunity surveys. The Management major is designed for those students who seek a business education and do not wish to narrow their focus to a specific functional area. You do not have to be a specialist in order to obtain a good position with an employer after graduation. Many employers prefer to hire individuals with a broad range of education, given that students complete a high number of senior classes in the functional areas and pursue one of the available management streams to enhance their knowledge base. Individuals with broad skills may be more suited to adapt to today’s rapidly changing business environment than those with a narrower background of education. 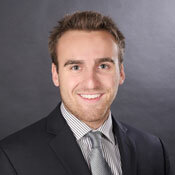 "I chose the Management major because I would like to one day own a portfolio of businesses. The Management major allows me to take classes from all areas of business that are relevant to this goal. The most interesting thing I did during my work term with Federated Co-operatives Limited was traveling around Western Canada performing analysis on a multi-million dollar potential acquisition." 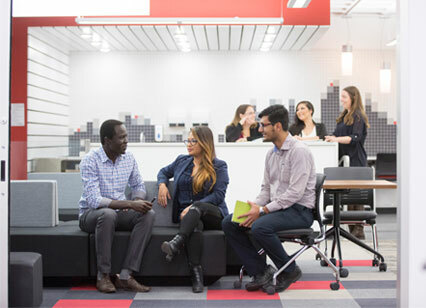 The co-op option is an opportunity for third-year business students to participate in an eight-month work term and gain practical experience in their field of study.